Speaker 2018 - EARL MINDELL, R.Ph., M.H., Ph.D.
EARL MINDELL, R.Ph., M.H., Ph.D.
EARL MINDELL, R.Ph., M.H., Ph.D. (PHARMACIST, MASTER HERBALIST AND NUTRITIONIST) received his R.Ph. Degree in 1963 at the North Dakota State University, Fargo; his M.H. Degree in 1985 at the Dominion Herbal College, Surrey, BC, Canada and his Ph.D. Degree in 1985 at Pacific Western University in Los Angeles, California. Dr. Mindell is the author of The New Vitamin Bible, an international best seller, with over 11 million books in print in 34 languages. This book was written originally in response to the countless questions he received as a Nutritionist and Lecturer. In addition to outlining basic Nutrition, his book also explains how specific employment, sports and life experiences can affect the body’s supply of vitamins and minerals. He describes each nutrient from A to Zinc, telling what each can do to help maintain the body at maximum energy. Also included is up-to-date information on a vitamin program for retarding the aging process and how to handle smoking withdrawal symptoms. His book Prescription Alternatives (4th Edition) gives people alternatives to the prescription and over the counter drugs that are being advertised as the only way to treat a condition. 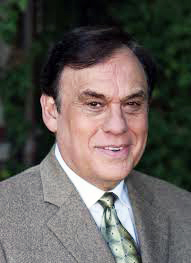 Dr. Mindell is listed in Who’s Who In America and is a member of numerous Professional Societies. He has been seen on Good Morning America, CNN, The David Letterman Show, The Oprah Winfrey Show, Live With Regis and hundreds of radio interviews across the country. Earl’s 55 books include The New Herb Bible, The Nutrition Bible, Nutrition and Health for Dogs, Prescription Alternatives, the 30th Anniversary Edition of "The New Vitamin Bible and The Allergy Bible." More information on Dr. Mindell’s monthly Total Health Resource Newsletter can be found on his website. He will speak on CBD & Cancer.